In 2008 we rounded up a group of unsuspecting bloggers and took them all the way to Uganda. We wanted them to meet the children and teens that are part of our sponsorship program. Actually, we didn’t want them to just meet these kids – we wanted them to hear their stories. And then we wanted them to share their stories with the world. These stories stirred us to act. They closed the gap on our ignorance. They reminded us that God asked us to care for the poor, the broken. Nine years and 14 trips later, thousands of kids are now sponsored. Hundreds of stories are able to beam brightly from the dark shadows of the world. We thought we’d share more stories with you. We’re ready for trip number 15! 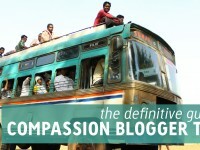 This Thursday, the Compassion Bloggers head to Kenya. If you’ve never followed along on one of our pilgrimages with our blogger friends, here are three reasons you’ll want to tune into this journey. But these trips remind us that everyone has a part to play and every person’s part is needed. The child advocates we’re bringing on this trip? Longtime members of the Compassion family! Jamie, a podcaster and mama of four, hosts “The Happy Hour with Jamie Ivey.” She and her family have met two of the students they sponsor in Ecuador and Haiti. 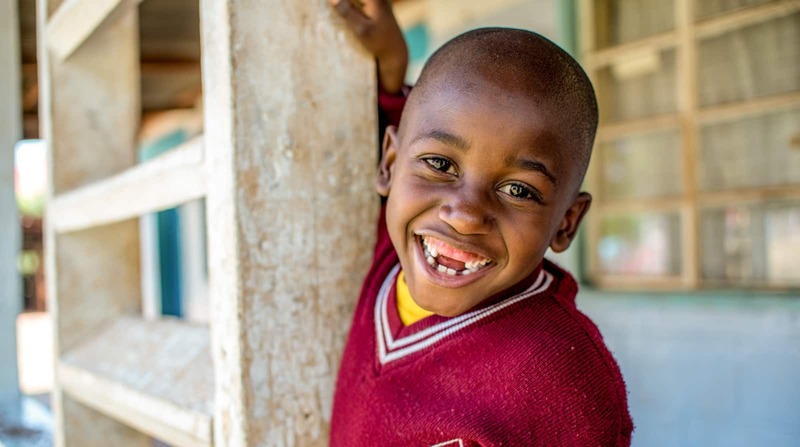 Now in Kenya, she and her son Deacon will get to meet the third, Brayan! 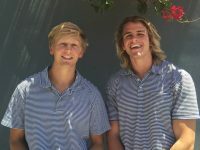 You can join Jamie, Deacon and Brayan in Kenya at Jamieivey.com or by following @jamieivey on Instagram. Sophie journeyed with us to Uganda nine years ago and to Ecuador five years ago. As the mama in charge at BooMama.net, she and her son Alex will be experiencing the Compassion family in Kenya together for the first time. The stories they experience will be shared by @boomama205 on Instagram and on BooMama.net. 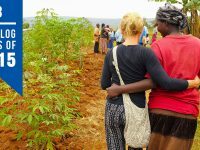 No stranger to #compassionblogger trips, our previous fearless leader, Shaun, gets to travel to Kenya once more with us. Shaungroves.com and @shaungroves on Instagram will be where you can learn more about the incredible children in Kenya with him. Even though I get the honor of leading these trips, I’m even more honored to also share the stories of the empowered children in our program. I’ll be sharing their stories at OurSavoryLife.com and on Instagram at @brimckoy. We’re all getting on a plane to Kenya in two days. We might be an ocean away from you, but will you connect with us? We will all band together in the fight against poverty. We’ll remember this is important work and God has not left us to do the work alone. Sometimes we need a story – not statistics, not a well thought out presentation, but a story to remind us why God has called us to use our influence to help others. That’s why we keep telling the stories of the children we meet. We told you the story of Lidia, who lives in the frayed, desperate edges of Ecuador. Who waited three years for a sponsor. Whose mother is raising four children by herself because her husband beat and then abandoned her when she became a Christian. Shaun and Eliud’s paths crossed seven years ago. And now they’ll cross again on this trip. We can’t wait to catch up with Eliud and hear where his journey has taken him! 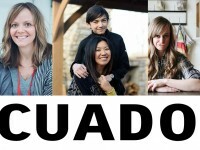 We’ll sit with Eliud, children like Brayan and local church staff members. We’ll listen to their stories. We’ll pray for the story God is writing in their life. And at the end of every day, we’ll open our laptops and share their stories with you. 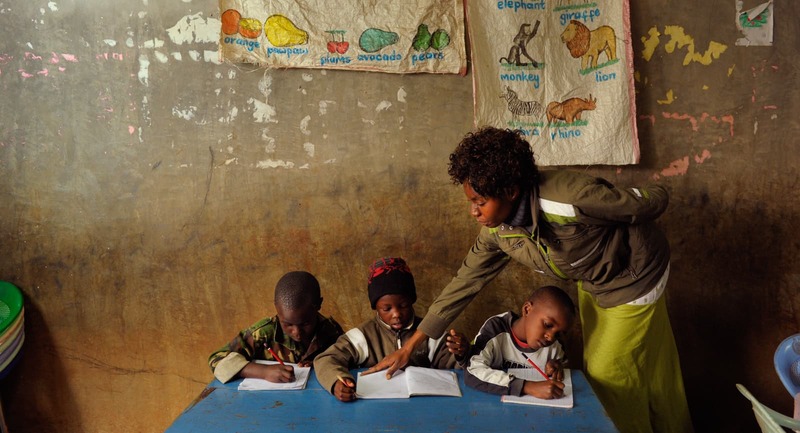 Children living in Kenya are being released from poverty. This is no small feat. Poverty has no easy out. But there are sponsors, like you, and then there are the local churches in Kenya, the pastors, the local Compassion staff, the volunteers and the families. 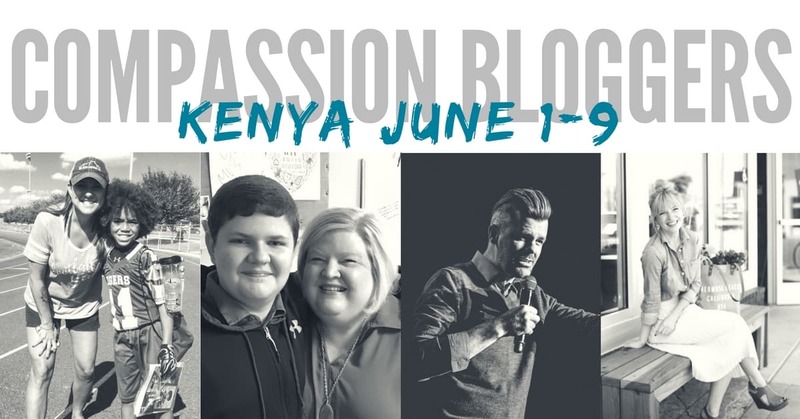 Through this blog trip, you’ll get an exclusive look at how Compassion and the local churches are fulfilling their mission in Kenya together. So, whether this is your first blog trip or your 10th, will you come along? 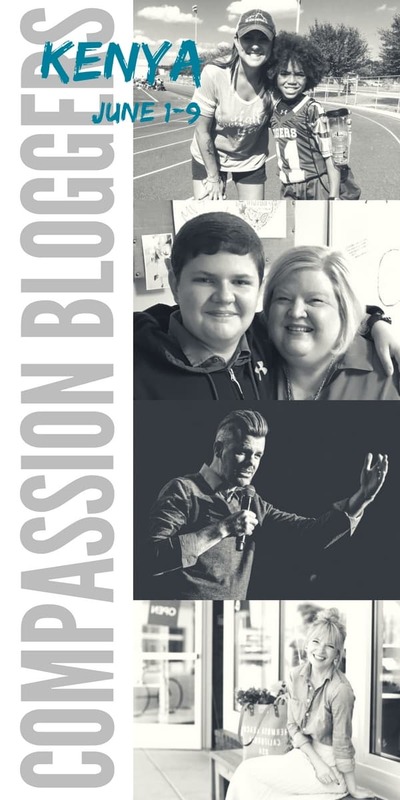 Every day we’ll be sharing the inspiring stories at CompassionBloggers.com. Will you please give these precious young people who are overcoming unimaginable odds the immense honor of reading the stories they share? Will you please affirm their story by praying for them, sharing what God is doing, and advocating for them to be sponsored? And if you are ready to enter into the story of a child or teen living in poverty in Kenya now, sponsor a child today. Now I want to hear from you! Why do you follow these trips? And if you are new to these trips, what can we share that you want to know more about? I’ll be checking the comments, so let me know. Liz I am so grateful to hear you will be following! Thank you. I will be following along the Kenya bloggers trip! I love the impact of these stories and how the shine the light and love of Jesus! I love how these kids teach us so much the meaning and true value of contentment. So grateful to hear you will be following, Heather!! Thank you! Hi Paul! Thank you for loving and serving our precious kids! To join our bloggers network, please visit https://compassionbloggers.com/join-the-network/. I’m a Kenyan in Kenyan and I’ve been an ardent supporter of Compassion for many years now. I still can’t afford to sponsor my first child yet, but as i sort that out I’ve desired to volunteer in whatever way i can. I’m really touched by this post, i actually wept as i read it. Precious work. Victor, please email socialmedia@compassion.com with your location in Kenya for more information about volunteering with us. Soon after we sponsored our first Compassion child, Ann Voskamp was on a Compassion Bloggers trip and I was captivated by the stories she shared. I never thought I would be able to travel to meet any of our sponsored children, so these trips gave me a way to live vicariously through the bloggers who shared so many details about Compassion and the precious children they meet on every trip. These trips also give me the opportunity to share the posts with my friends, to encourage them to make the decision to help one child who needs a sponsor. I am looking forward to reading about Shaun and Eliud reconnecting in person, and I hope Jamie and Sophie’s sons share their observations.